Just about every business can use banners, but making sure they last is where heavy duty banners come into play. Some banners are made for short term use, while other banners need to be used over and over again. In the photo above, you can see one of our large format printers in action, printing heavy duty banners. Perth Graphics Centre has invested in equipment which reliably and quickly prints banners using solvent-based inks. 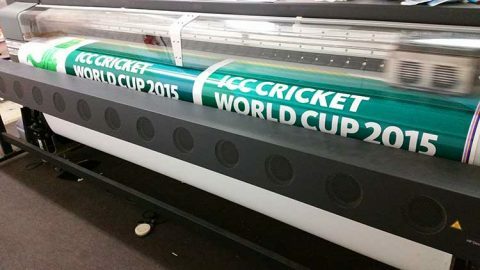 Some banners are printed using latex inks, a relatively new technology. Rather than experiment with inks which have only been on the market for a few years, Perth Graphics Centre’s priority has been to utilise trusted methods. 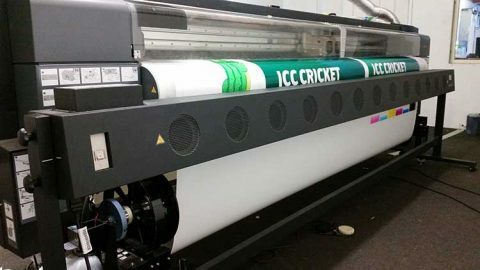 By staying with tried and proven print technology, Perth Graphics Centre can ensure that your banners last for a long time. Our banner stock is also heavier, stronger and the ropes are heavy duty, with reinforced eyelets. When you want your banners to last, trust the team at Perth Graphics Centre. How long do your banners last on the front of a building facing direct sun all day. Also a price for 2 banners printed and supplied @ 8.7m x 1.7m. And banner track to suit.